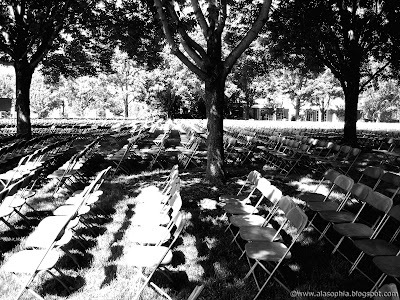 There were thousands of folding chairs set up for the graduation ceremonies this weekend. I do not envy those who had to put them out and take them away. And for those who didn't get there early enough to get a seat in the shade. unrelated comment: your profile lists your favorite music as "the beatles and jay z"